Palmetto Vocal Project is a competitive and performing chorus specializing in a capella singing - particularly celebrating the rich musical American tradition of barbershop harmony. Our membership is comprised of current and former college a capella singers, actors and musicians, music educators, students, and men who simply enjoy raising their voices in song. Palmetto Vocal Project’s repertoire includes a wide variety of musical genres, from classical, gospel, and barbershop, to contemporary, country, and doo‐wop. Palmetto Vocal Project was founded in the fall of 2011. 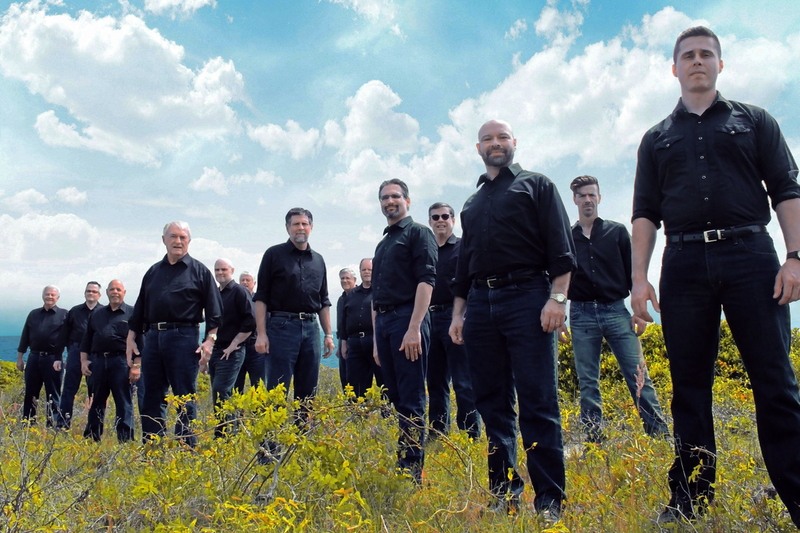 In 2012, the chorus won the Carolinas District Chorus Championship, and went on to represent the Carolinas District at the Barbershop Harmony Society’s International Chorus Championship competitions in 2013 (Toronto, Ontario, Canada) and 2014 (Las Vegas, NV), becoming the only chorus from South Carolina to hold this distinction in the 78-year history of the Barbershop Harmony Society. PVP has established itself as an active supporter of local events and venues, having appeared at 2nd Sundays on King Street, Charleston Fashion Week, the Charleston Farmers Market, Belmond Charleston Place, Seabrook Island Club, the Mount Pleasant ArtFest, the 2012 Piccolo Spoleto Marion Square Festival, the Charleston County School of the Arts, and in free concerts provided to several local churches. The chorus has also performed the National Anthem for a number of sports organizations including the Charleston RiverDogs Baseball Team, the Charleston Battery Soccer Team, the South Carolina Stingrays Hockey Team, and for the 2013 USA Ruby World Cup Qualifier. PVP self‐produces shows, encourages and promotes quartets and small ensembles, develops soloists, and works to secure many local performance opportunities across the greater Charleston area. The chapter seeks to maintain and expand supportive services for our local community of artists, elevate artistic and leadership skills through education and superior practices, establish lifelong singing as a core community asset, grow social enterprises, and encourage individual and institutional philanthropy. You can learn more about us by viewing our Promotional Videos! The Barbershop Harmony Society is the world’s largest all-male singing Society, with 23,000 members across North America; affiliated men’s and women’s organizations in more than a dozen countries bring the total number of active singers to more than 80,000 worldwide. Founded in 1938 as the Society for the Preservation and Encouragement of Barber Shop Quartet Singing in America, Inc. (SPEBSQSA), the Society now expends nearly $1 million annually in support of community and school programs that bring the fellowship, fulfillment and excitement of vocal music to a new generation of singers.